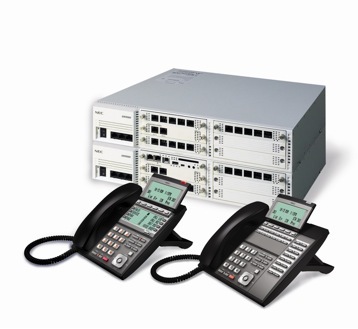 The UX 5000 can function in and support a “hybrid” network with traditional digital/analog switching, IP/TDM switching or provide pure peer-to-peer IP switching (VoIP). This puts you in control of utilizing the best technology for your specific situation. UX5000 system starts off in its basic configuration to accommodate a simple office applications telephone user and continues to expand to offer you over 150 features with full VoIP capabilities.